Not all the casualties of war are in combat. Some soldiers and sailors, like Billy Keeler, die in the service of their country because of tragic accidents. In Keeler’s case, death came to a young man who had already survived one near-fatal accident — when he was only three years old. 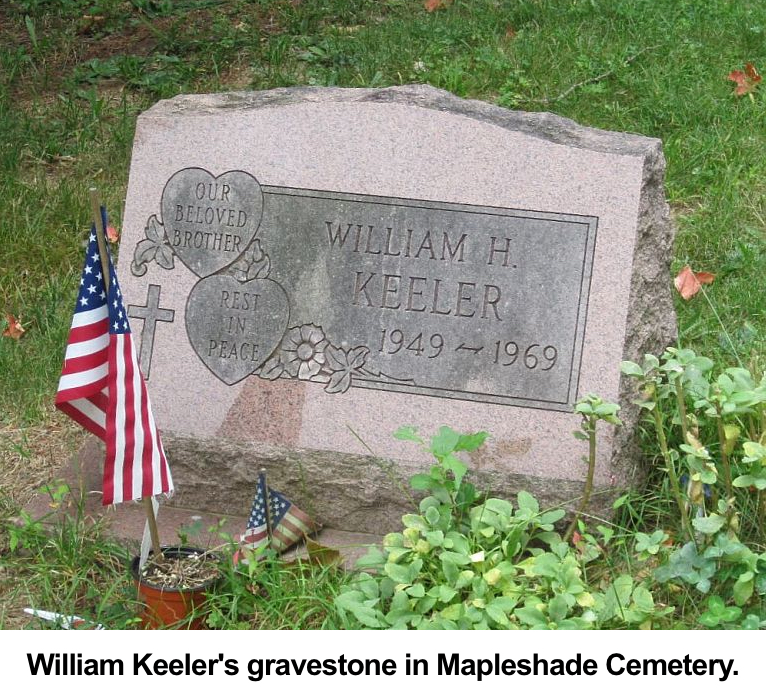 Born in 1949, William Howard Keeler grew up on Cooper Hill Road in Ridgefield and attended schools here. By 1959, when his family was living in South Salem and he was 10, his father, Robert, died. His mother, the former Frances L. Coughlin, was left with nine sons and two daughters, most of whom were still young enough to be at home. She returned to Ridgefield with her family, living on Roberts Lane. Keeler worked in construction until February 1968 when he joined the U.S. Army. He was assigned to the 31st Engineer Battalion and by that summer, he was in Vietnam. While he appeared to be involved in one of the most dangerous duties of modern warfare — land mine clearance — it is uncertain how this could be considered a “non-hostile” death, unless he was clearing mines planted by Americans. Of the 58,000 servicemen who died in Vietnam, the deaths of nearly 11,000 — almost 20% — were called “non-hostile” by the military. One in five. 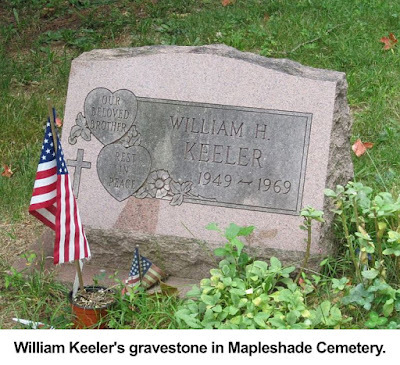 Keeler was only 19 years old, one of six people who had lived in Ridgefield to die in the Vietnam War. Cemetery. His name is on Vietnam Veterans Memorial on the Mall in Washington, D.C. 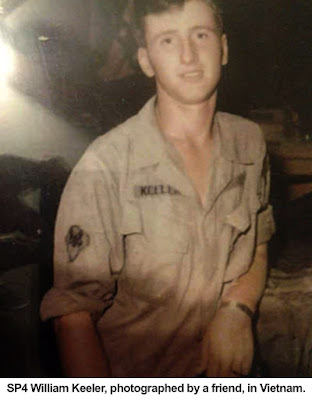 The hazards of Vietnam proved fatal to William Keeler, but the dangers in his own backyard almost did nearly 17 years earlier. In early September 1952, three-year-old Billy Keeler was playing at an old-fashioned open well at his parents’ Cooper Hill Road home. Suddenly, he slipped and plunged 15 feet down the shaft into a 10-foot-deep pool of icy water. She called state police who also alerted the fire department. Among the first to arrive on the scene was Fire Chief Horace A. Walker who grabbed a ladder from the fire truck, lowered it into the well, climbed down, and brought the boy to the surface.